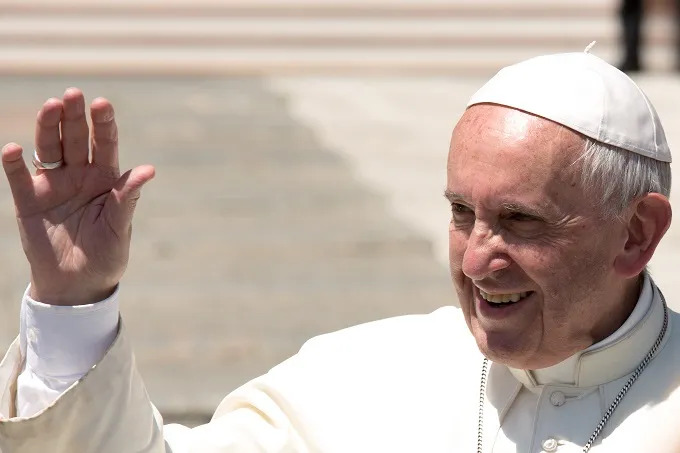 Dhaka, Bangladesh, Dec 2, 2017 / 03:34 am (CNA/EWTN News).- Speaking to youth in Bangladesh, Pope Francis said he is always rejuvenated by young people, and encouraged them to never lose their sense of enthusiasm and adventure for life, even when things are hard. He also stressed the importance of clinging to God and his wisdom, using it as a guide to help them avoid the world’s false promises, and to go out of themselves in order to grow in faith and solidarity. “There is something unique about young people: you are always full of enthusiasm, and I feel rejuvenated whenever I meet with you,” the Pope said Dec. 2. Pop Francis spoke to youth in Dhaka on the last day of his Nov. 27-30 visit to south Asia, which included stops in both Burma and Bangladesh. Before arriving to Notre Dame College for his encounter with the youth of Bangladesh, the Pope visited the Missionaries of Charity’s “Mother Teresa House” for orphans and disabled people, and had an audience with the country’s priests and religious. Dhaka’s Notre Dame college was founded in 1949 by the Congregation of the Holy Cross, and in 1954 it was opened to students from all religious confessions. When he arrived Pope Francis was greeted by Bishop Gervas Rozario, Vice President of the Catholic Bishops Conference of Bangladesh. He then listened to two testimonies from young people, the first being student Upasana Ruth Gomez, who spoke about the struggle to stay hopeful in the face of oppression and injustice. The second testimony was from Anthony Toranga Nokrek, who spoke about the need to stay focused in order to be open to and welcome God’s message to them. Pope Francis said it’s sad when we start to “shut ourselves up in our little world and become inward-looking,” living by the “my way or the highway” principle. Elderly, he said, have the wisdom to help us avoid repeating past mistakes, and have the “charism of bridging the gap,” meaning they are sure to pass on the most important values to their children and grandchildren. He closed his speech noting how both Anthony and Upasana had ended their testimonies with an expression of hope for the future. 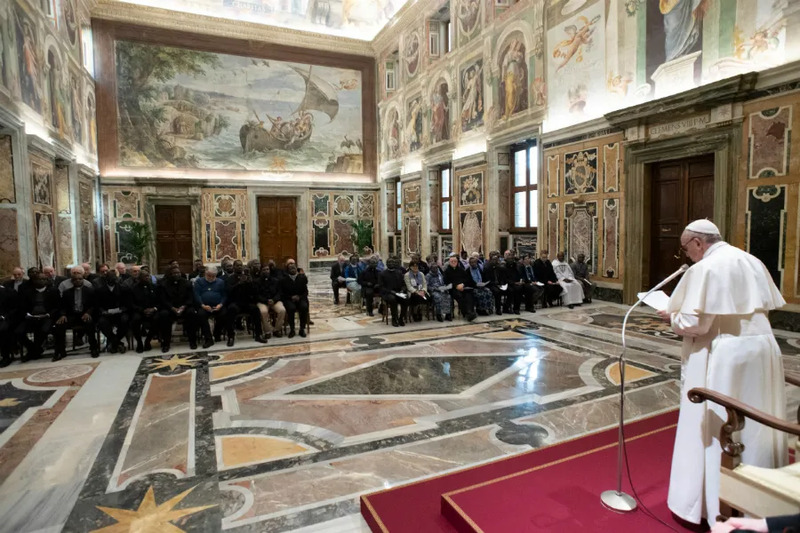 The wisdom of God “reinforces the hope in us and helps us to face the future with courage,” he said, noting that Christians find this wisdom in a personal encounter with Jesus in prayer, in the sacraments, and in service to the poor, sick, suffering and abandoned. “In Jesus we discover the solidarity of God, who constantly walks by our side,” he said, and told the youth that he is “filled with joy and hope” when he looks at their faces. Dissident Aussie priest excommunicated—by Pope Francis?